Used by companies, organizations, and even individuals to promote recognition of their brand, logos can also act as a valuable means of identifying the source of a document. E-business applications can retrieve and catalog products according to their logos. Governmental agencies can easily inspect goods using smart mobile devices that use logo recognition techniques. However, because logos are two-dimensional shapes of varying complexity, the recognition process can be challenging. Although promising results have been found for clean logos, they have not been as robust for noisy logos. 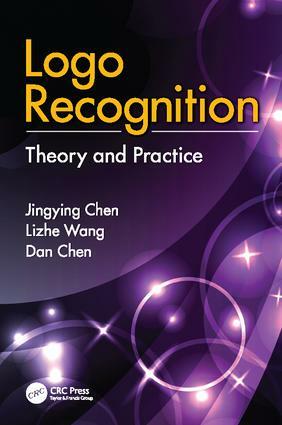 Logo Recognition: Theory and Practice is the first book to focus on logo recognition, especially under noisy conditions. Beginning with an introduction to fundamental concepts and methods in pattern and shape recognition, it surveys advances in logo recognition. The authors also propose a new logo recognition system that can be used under adverse conditions such as broken lines, added noise, and occlusion. The proposed system introduces a novel polygonal approximation, a robust indexing scheme, and a new line segment Hausdorff distance (LHD) matching method that can handle more distortion and transformation types than previous techniques. In the first stage, raw logos are transformed into normalized line segment maps. In the second stage, effective line pattern features are used to index the database to generate a moderate number of likely models. In the third stage, an improved LHD measure screens and generates the best matches. A comprehensive overview of logo recognition, the book also presents successful applications of the technology and suggests directions for future research.